FOIMan explores how FOI and transparency rules interact with the process of procuring new goods and services by public authorities. One chapter that didn’t quite make it into my book due to lack of space and time was going to focus on the interaction between FOI and procurement processes (though of course the book still includes useful tips for dealing with requests about contracts). I’ve sought to redress this in my latest article for the Freedom of Information Journal. You can, of course, subscribe to the journal, which contains lots of useful articles and the latest FOI news – details can be found opposite and at http://www.pdpjournals.com. However, you can also read the article here. By the way, we’re planning an experiment for a future issue of the journal. If there’s an FOI or EIR problem that you’ve never quite got to the bottom of and would like me to explore, let me know either directly or via PDP. I can’t promise to deal with every query submitted, but the aim is to answer a selection of queries in the article. If it works, we might just do it again. Even if you don’t subscribe to the journal, the eventual article will, as ever, be reproduced here. So if there’s something you don’t know about FOI, and think others might be puzzled by it too, drop me a line with ‘FOI Journal Q&A’ in the subject line and I’ll see what I can do. FOIMan reports on a new strategy from the ICO and a move for open data (and data sharing) responsibilities in government. I’m briefly emerging from my monastic cell to note some recent developments in FOI that may have passed you by amidst frenzied GDPR preparations. 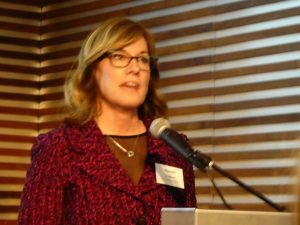 The Information Commissioner recently gave the annual Jenkinson Lecture at University College London. In it, she made intriguing reference to a new ICO FOI strategy. What does this strategy consist of? The Commissioner wants to augment the “request-based, and frankly, reactive” model of FOI. There appears to be a new focus on pro-active disclosure, and linked to this, the Commissioner is interested in giving new impetus to open data initiatives, particularly focussing on making them more sustainable. Self-assessment tools for public authorities are mooted. She wants FOI to expand to reflect changes in the way that public services are run (not a new call, of course). Housing Associations were particularly singled out for attention. She remains concerned about compliance with FOI deadlines, and is keen to explore ways to improve these. The publication of FOI statistics proposed by the FOI Commission in March 2016 (and more recently included in the draft s.45 Code of Practice released before Christmas) was highlighted, and it was suggested that the Commissioner could carry out audits even where no specific complaint has been received (or ‘own-motion compliance investigations’). Access Impact Assessments may be coming your way. Presumably inspired by her office’s preparations for GDPR, the Commissioner suggested that assessments should be made of the “access impact of new systems and initiatives”. News of such a strategy is interesting in its own right, but I read earlier today of changes to responsibilities in central government (what are known as ‘changes to the machinery of government’). Responsibility for open data policy, together with data sharing, data governance and data ethics has moved from the Government Digital Service (in the Cabinet Office) to the Department for Digital, Culture, Media and Sport (DCMS). Could the Commissioner’s comments on open data be linked to this move, perhaps? And are there moves afoot to move FOI to DCMS as well? It would make sense – but machinery of government changes don’t always appear to be made with good sense in mind. FOIMan brings you the second in his series of articles for PDP’s Freedom of Information Journal. However…in September I was also asked to write on this subject for Privacy Laws & Business, another information rights publication, and as a special bonus, I have their permission to reproduce that piece here as well. Bang(ish) up to date. So there you go, two articles on datasets and FOI for the price of one right here at foiman.com. Next week I’ll be bringing you a piece on handling vexatious requests. And there may be one or two other posts in the next week or so (including another guest post from academic researcher Joe Reddington), so keep your eyes peeled.